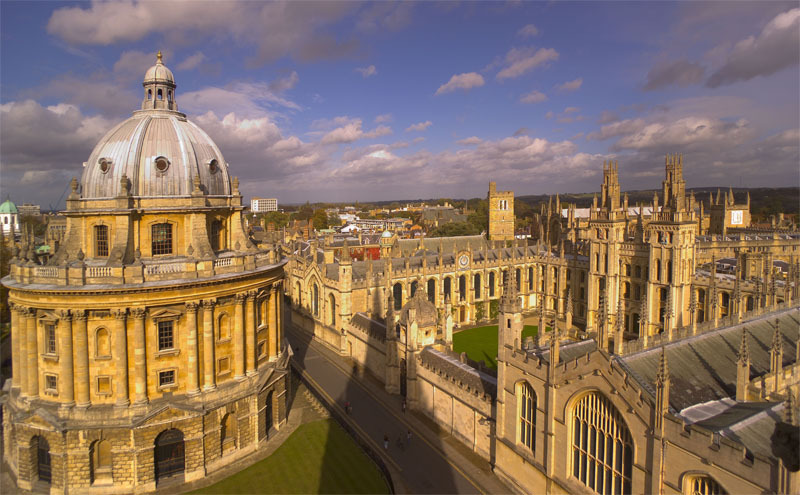 The European Investment Bank (EIB) has agreed to provide GBP 200 million for Oxford University’s programme of improvement and expansion of research and teaching facilities. This represents the largest ever single loan for university investment by Europe’s long-term lending institution. The 30 year loan from the world’s largest internationally owned public bank will be used alongside other sources of financing, including grants and philanthropic donations, towards the University’s plans to replace and upgrade existing buildings across Oxford including the Radcliffe Observatory Quarter and to expand the Old Road Campus on the former Park Hospital site. The money has been allocated both to planned buildings and projects that have already been completed. The new EIB support was announced during a visit to Oxford University by Jonathan Taylor, Vice President of the European Investment Bank where he was welcomed by Vice Chancellor Professor Andrew Hamilton and met students and staff involved in the new buildings. “Investment in research facilities and teaching is essential to unlocking new ideas and scientific discoveries and the European Investment Bank is committed to supporting investment at leading universities across Europe. The new loan will strengthen research and learning across a broad range of disciplines here in Oxford and ensure that the university continues to be at the forefront of global research. The size of the EIB’s support, through the largest ever university loan, and that the UK is the largest recipient of EIB loans for university development reflects the expected contribution of the impressive range of capital investment being considered both here in Oxford and across the country.” said Jonathan Taylor, Vice President of the European Investment Bank. “Ensuring Britain’s world-class universities can continue to grow and succeed is a key part of the government’s economic plan, which is why we welcome the European Investment Bank’s investment in this sector which has been announced today. The EIB’s £200 million investment is the bank’s largest ever single loan to a university, and is set to make a real difference by improving Oxford’s internationally renowned scientific research and teaching facilities even further. It builds on our strong record of securing EIB investment to help grow our economy.” said Lord O’Neill, Commercial Secretary at the Treasury. The new investment programme backed by the European Investment Bank loan will strengthen specialised scientific research at the university. New laboratories for interdisciplinary bioscience will be built at the heart of the South Parks Road Science Area, building on the legacy of Oxford Nobel Prize winners such as Howard Florey, Hans Krebs, Dorothy Hodgkin and Paul Nurse. Research and teaching at the Department of Physics will benefit from new facilities with very low vibration levels and excellent temperature control linked on three levels to the existing Clarendon Laboratory. This new building, called the Beecroft Building, is currently under construction. On-going developments on the university’s Old Road Campus that will house up to 600 scientists will also be supported by the EIB loan. These include the Big Data and Target Discovery Institutes at the new Li Ka Shing Centre for Health Information and Discovery, which will be one of the largest multidisciplinary centres of biomedical research in Europe. The Target Discovery Institute will house research generating data about disease using genomic and chemical screens, important for the early stages of drug discovery. The new backing will also be used, for refurbishing and extending the Tinbergen Building to provide new chemistry teaching laboratories that are fully integrated into research and teaching space for Biology, Psychology and Biochemistry. The largest scheme to benefit from the new EIB support is the Weston Library, formerly the New Bodleian that has been refurbished to ensure secure storage facilities, additional reading rooms and opening of the ground floor to allow visitors to view some of the university’s greatest treasures and latest research. Work to provide a new home for the university’s Department of Primary Health Care Sciences in the Grade 2 listed former Radcliffe Infirmary outpatients building is also backed by the initiative. Over the last decade the EIB has provided nearly EUR 10 billion for long-term investment in higher education across Europe. The United Kingdom is the largest beneficiary of EIB university lending and in the last 5 years the EIB has provided GBP 1.45 billion for investment in twenty universities across the country. Last year the European Investment Bank provided a record GBP 6 billion for long-term investment in key infrastructure across the UK including support for new hospitals, better water and sewerage infrastructure, renewable energy and energy transmission and private sector investment.